Since its introduction in 2012, the long-haul, large-cabin Gulfstream G650 has quickly become a popular ride for the world’s elite. More than 200 were delivered during its first four years of production to corporations including ExxonMobil, Bank of America, and Walmart; global potentates from Saudi Arabia, Jordan, Bahrain, and Kuwait; and such billionaires as Paul Allen and Larry Ellison. What sells the G650 is the trifecta appeal of speed, range, and cabin size. The G650 is the world’s second-fastest business jet, with a maximum cruising speed of Mach 0.925—just slightly less than the Cessna Citation X’s Mach 0.935. Power on the G650 comes from a pair of 16,100-pound-thrust Rolls-Royce BR725 engines, which are more efficient than their predecessor, the BR710. The new engines produce almost 5 percent more takeoff thrust while reducing nitrogen oxide emissions by 5 percent and smoke by 10 percent. They are also 33 percent quieter than the BR710s, cutting noise levels to 17 decibels below Stage 4 standards. The BR725s have an impressive 10,000-hour recommended time between overhauls, the equivalent of 24 years of average corporate operation. 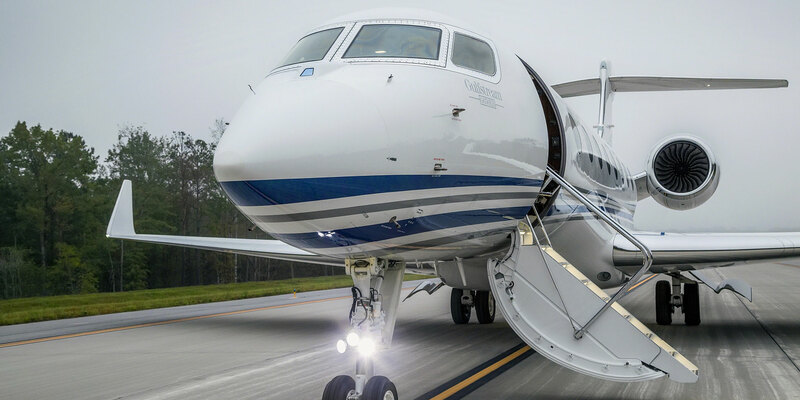 The aircraft can land in primitive environments and adverse weather, thanks to the Gulfstream enhanced-vision system, the synthetic-vision primary flight display system, and head-up display (see photos on page 29). These systems work together to give pilots a view of terrain, obstacles, and runways, regardless of the weather. 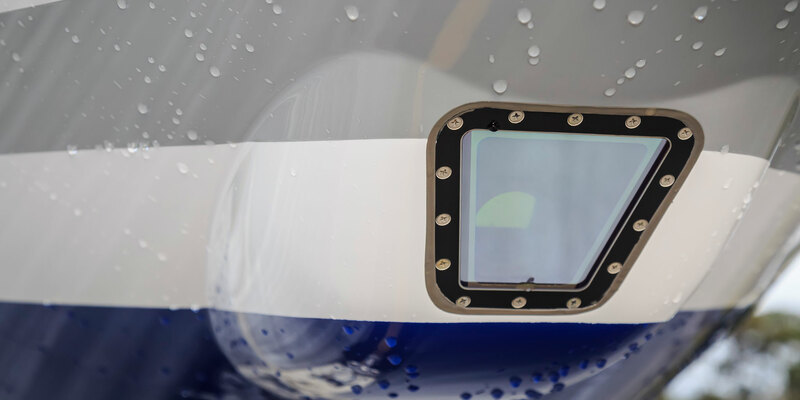 The enhanced-vision system uses a forward-looking infrared camera that projects ground images on the pilot’s head-up display, while the synthetic-vision system employs 3D color terrain images from an onboard database. 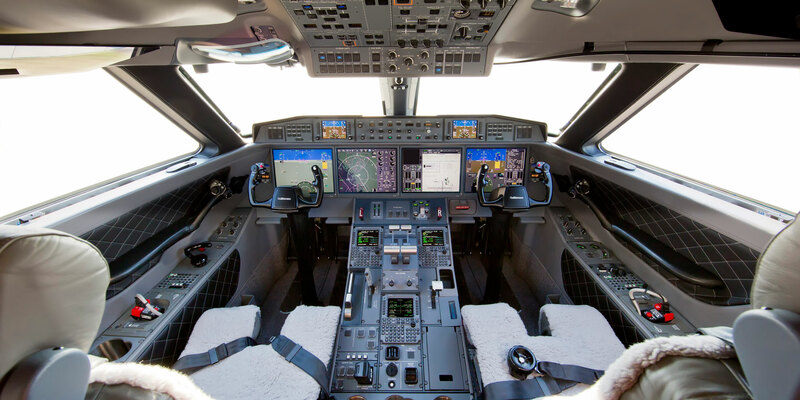 The G650 is also the first Gulfstream to feature computerized fly-by-wire flight controls, which enhance safety while improving ride quality. 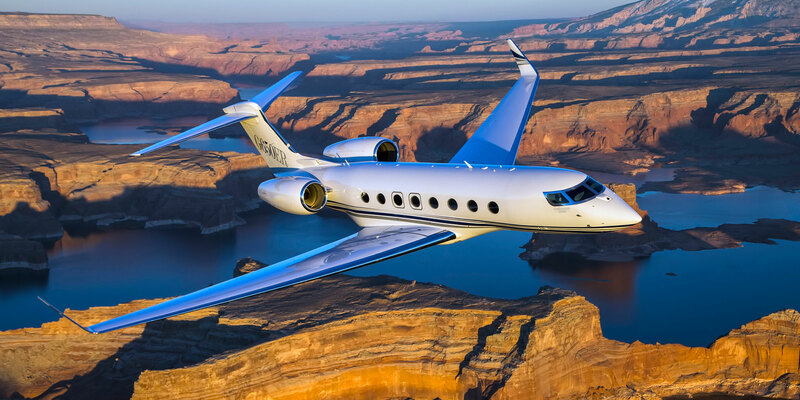 Standard maximum range for the aircraft is 7,000 nautical miles; however, in 2014 Gulfstream began offering a 7,500-nautical-mile (at Mach 0.85) variant, the G650ER. Roughly 80 of the G650s delivered through 2016 are ER models. The extra-range option adds a few million dollars to the price; a base ER retails this year for $69.4 million. At Mach 0.90, the ER can fly 6,400 nautical miles, 400 farther than the base G650. 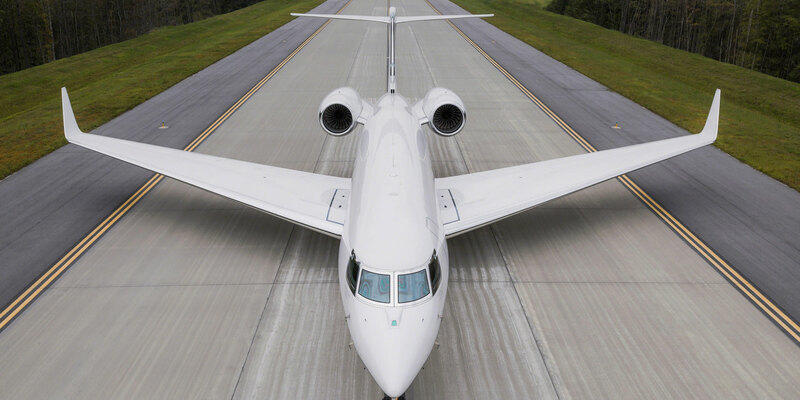 The G650 and G650ER are virtually indistinguishable from the exterior, as Gulfstream incorporated sufficient structural strength in the wings to accommodate the 4,000 pounds of fuel needed to stretch the range. However, a fully fueled ER weighs 104,000 pounds, which puts it over the limits at some popular business airports, including New Jersey’s Teterboro. While the G650ER shares the G650’s cabin, avionics, and systems, software for the fuel-quantity measuring and flight-management systems had to be updated to account for the extra fuel and performance gains. These capabilities combine for extraordinary speed, range, and mission flexibility. The G650ER regularly sets speed and distance records in its class. One recently flew the 6,620 nautical miles from Sydney, Australia, to Los Angeles in just 12 hours and 40 minutes for an average speed of Mach 0.86. Previously, a G650 had made the trip from Washington, D.C., to Geneva in six hours, 55 minutes and from Los Angeles to Savannah, Georgia, in three hours, 26 minutes. Its speed and range notwithstanding, the G650’s most appealing feature is undoubtedly its super-sized and refined cabin. The aircraft features 28 percent more cabin volume than Gulfstream’s former flagship, the G550, itself a long-range 12- to 16-passenger jet; total cabin volume is 2,138 cubic feet. The G650’s cabin door is more than six feet high, and the cabin is eight feet, six inches wide; six feet, five inches tall; and nearly 47 feet long. A cavernous 195-cubic-foot baggage compartment is accessible through the rear lav. All that space means room for larger seats, windows, and monuments. The single executive seats are 28 inches wide—two inches wider than those in the G550. The signature oval windows are the industry’s largest: at 28 by 20.5 inches, they’re 16 percent bigger than those on the G550 but are spaced farther apart and slightly higher on the fuselage to improve the viewing angle. 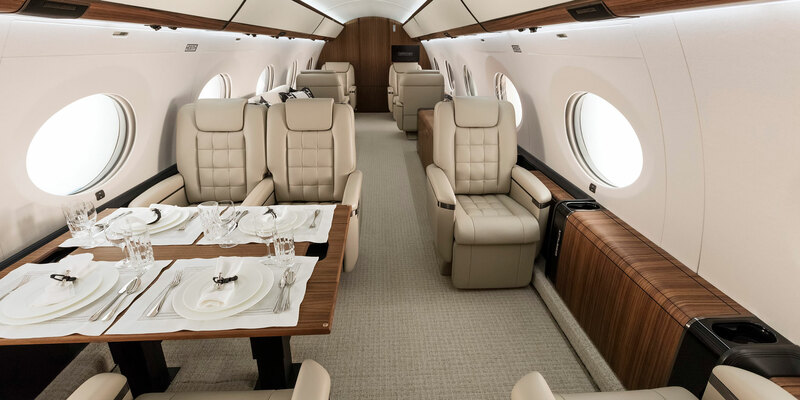 Gulfstream can configure the cabin for up to 19 passengers in any of 12 standard floor plans, with forward or aft galleys and with or without a dedicated crew rest area. The conference area is expandable from four seats to six by replacing the center cabin credenza with two single seats. With forward-galley layouts, a stateroom is an option just forward of the aft lavatory. Customers can also opt for floor plans tailored to their tastes. dining; and a fourth zone adjacent to the aft lav that includes a closet and a divan that converts into a 39-by-80-inch bed. 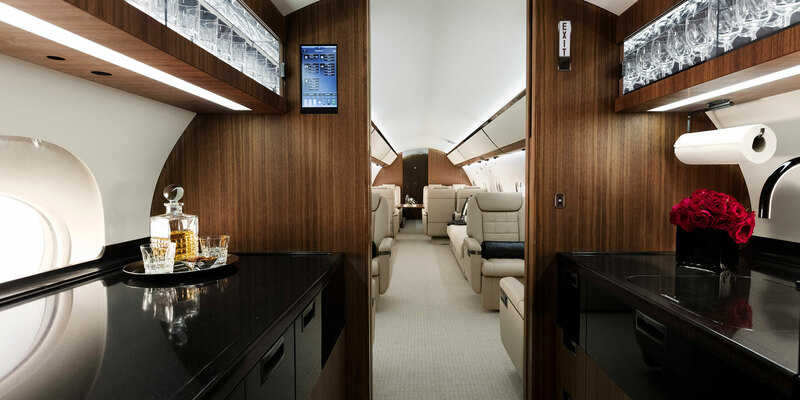 The aircraft has a 100 percent fresh-air system and provides a lower cabin altitude than other large business jets—4,850 feet when flying at 51,000 feet and 2,800 feet when flying at 41,000 feet. The environmental-control system features quieter air distribution than the G550 and independently vented lavatories. The G650 cabin benefits from a combination of clean lines, high-tech accents, and hints of art deco on the curved-edge cabinets. The absence of clutter and visible switching on this airplane is striking. The galley is large and high-tech. 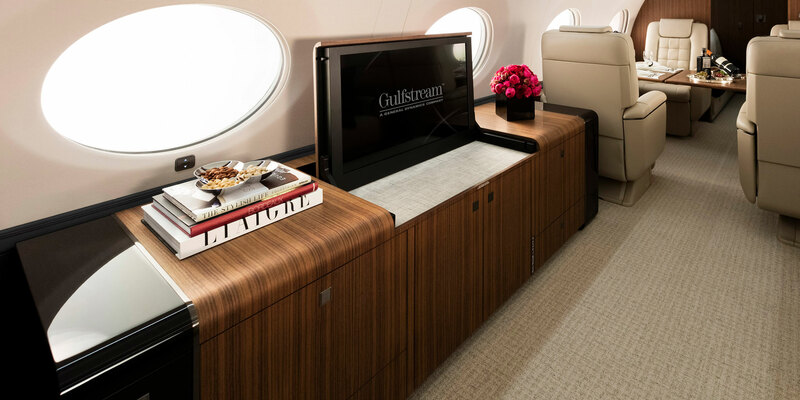 Gulfstream has made technological upgrades to the cabin as they have become available. Beginning this year, for example, it is incorporating the high-speed satellite communications network Jet ConneX, which offers dramatically faster internet and messaging; clearer voice connections; and real-time television, audio, and video streaming virtually anywhere worldwide. Also new this year, the G650 line features an external camera system that provides high-resolution video to the cabin monitors and flight-deck displays.